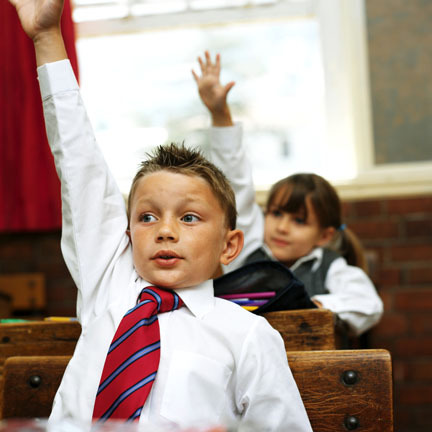 In school, we all had the person who raised their hand to every question and who sometimes, in the early years, added sound effects -- "Ooh! ooh!," or "I know!, I know!," or something along those lines. As we grew into the older grades, what started out as a small yet energetic group evolved into a couple diehards, with high school containing one or two leftovers. A question I have is; at what age does that change, from being a popular activity to being a despised one, take place? Little did we suspect at the time, when we sat behind one of these people and made faces, that in the future search engines would make this a valued skill. George Orwell never gave us a clue. But valued they are. As anyone who partakes in online searches or commerce knows, the ability to direct traffic to your site or page arguably trumps that of the web designer. In researching a recent cartoon for another publication, I was looking for information on Chrome, Google's new browser. Like any search in this day and age, I Googled it. There were 109,000,000 results and, in perusing the first 25 pages, the vast majority of them were Google-related. (The most non-Google-related items I found on any page were 2. )They were either specs on the browser and its downloading, or reviews and information on the system and its release. And this was within the first week of the browser's release. There were 3,090,000 results. (The search page asked me if I meant "girls.") Of these results, the first two were about the Government Information Locator Service. There were one or two scattered GILS links on each of the subsequent search result pages. The majority of listings were related to persons or businesses named Gil. If you open one of the links to a GILS page, there is a separate search bar, where you can enter the topic or specific information you are looking for within the agency, and get a listing of possible matches. I should say "used to." I should also say "never was used very much anyway. The GILS standard, not very popular to begin with, has been eliminated. It is thought that the maturation of commercial search engines has made GILS unnecessary. For the most part, this is true. What is worrisome in this is the question of how government documents will be handled in the open waters of commercial search engines. Do agencies have someone who is capable of raising their hands, digitally? Or are they trusting the search engines to list them on their own merits? We're talking about search engines whose latest product releases go to the front of the line. Government documents, without a little help, might get somewhere in the first 1,000,000 pages, if they're lucky. And make sure they don't name any pages with the same monikers as Google.